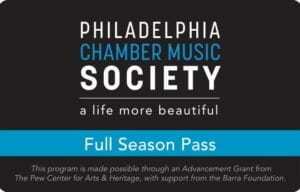 Enjoy maximum flexibility and value with our Full Season Concert Pass—now available for all audiences. 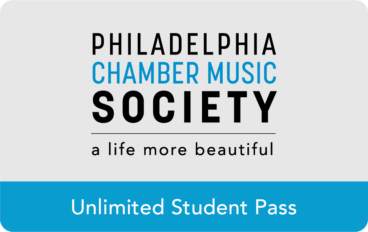 For a one-time payment of $500, pass holders can attend ANY AND ALL of our concerts (that are not sold out). While specific seats will vary at every concert, the earlier you notify us of your concert preferences, the greater the availability. 2. Reserve a ticket through our online reservation system. 3. Confirm your reservation (we'll contact you two weeks prior). 4. Pick up your ticket at will-call before the concert. You can also show your pass at the door and receive a ticket (subject to availability). Note: Season passes are non-transferable and must be shown for verification along with a valid I.D. when picking up your ticket. Tickets are subject to availability. If a requested concert is sold-out, the pass holder will be added to the priority waiting list. Since we have a limited number of seats available, pass holders must attend all concerts they have confirmed. Pass holders receive the best seats available at the time they reserve tickets. Enjoy access to all 52 of our concerts for one fixed price. Reserve seats for the concerts you want to hear. Of course! 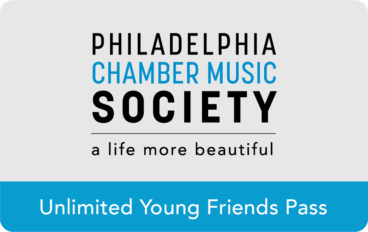 Our Student and Young Friends Program offers season passes for members aged 40 and younger ($75) and students aged 35 and younger ($35) at special prices. Click the card of your choice below to purchase. Along with our full season passes, we continue to offer traditional subscriptions and individual tickets. Not sure which option is best for you? Contact us at 215-569-8080 or [email protected]. This program is made possible through an Advancement Grant from The Pew Center for Arts & Heritage, with support from the Barra Foundation.